When I traveled to the East Coast a few years ago, I added to my book collection. (Surprise, surprise…or not!) I have a special book from most of the places we visited, but one of my all-time, hands-down favorites is “At Gettysburg, or What A Girl Saw and Heard of the Battle” by Mrs. Tillie Pierce Alleman. I found the book in the gift store of the Shriver House Museum, and when we got home, my mom bulk ordered about 15 copies to give as gifts. That’s how much we liked the book! So who was Tillie Pierce? And why did she become one of the major historical characters in “Blue, Gray & Crimson“? Matilda Pierce, called Tillie, by her family and friends was fourteen years old in 1863. Her father – James Pierce – owned the butcher shop and the family was well-to-do middle class in Gettysburg society. Her mother – Margaret Pierce – was homemaker and was also in charge of organizing the efforts of the Gettysburg’s Ladies’ Union Relief Society, a group which met to prepare supplies to send to the Union soldiers. Tillie had two older brothers, and from their absence in her account, it might be concluded that they were not at home, possibly serving with the Union army. She also had at least one sister. Tillie’s attendance of a private school for young ladies instead of public school gives us a hint of the status of the Pierce Family and their value of good education. A photograph of young Miss Pierce shows a charming, innocent expression on her face. Her dress is mostly hidden by a dark, lacey shawl which is fastened with a pin or broach – she was probably a fashionable young lady. The Pierce Family lived in a nice brick house on Baltimore Street in the town of Gettysburg. If you want the full story, you’ll have to read her own account because there is such a thing as word limits. 🙂 But I shall attempt to summarize Miss Pierce’s experience during the Battle of Gettysburg. On June 26, Tillie ran from school to her home, just reaching the house as the Confederates rode into town. Her family’s favorite horse was stolen by the raiders. 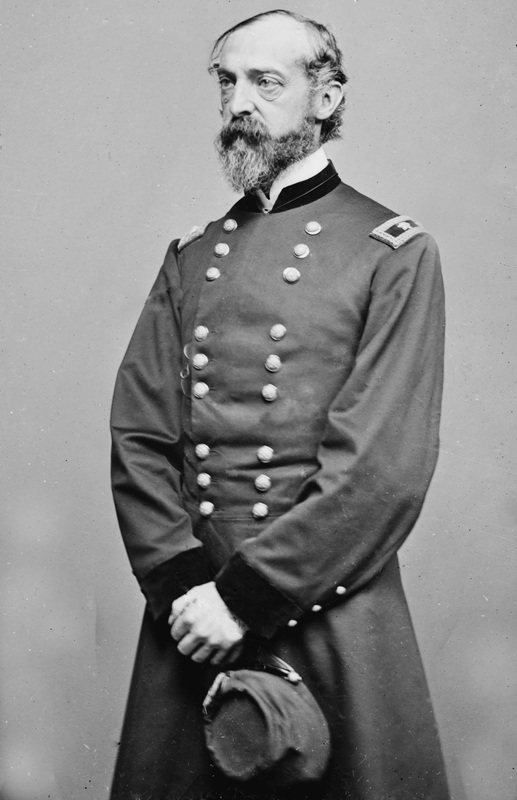 When General Buford’s Union cavalry arrived on June 30, Tillie, her sister, and some of their friends sang patriotic songs to the passing troops and were applauded for their kind efforts. July 1 – with the battle beginning west of town and shifting closer throughout the day, Mr. and Mrs. Pierce sent Tillie out of town with their neighbor and friend, Mrs. Shriver. Tillie, Mrs. Shriver, and Shriver children traveled to a farm south of Little Round Top and interacted with marching Union soldiers. Miss Tillie Pierce said she gave a cup of water to General Meade, commander of the Union Army. Battle and Aftermath – Tillie really would’ve been safer if she had stayed in town. She had relocated to a fairly dangerous location; the farm came under artillery fire and she had a temporary refugee experience. She pumped water for Union soldiers and claimed she gave a cup of water to General George Meade (commander of the Union army). The house was taken over as a field hospital and Tillie helped distribute food to the injured men. She comforted a wounded general. She worried about her family in town and was unable to return for several days after the fighting ended. When she returned home, Tillie discovered that her family was safe! 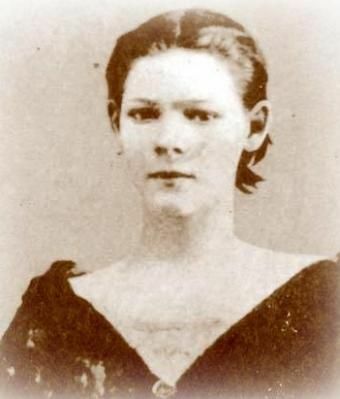 Her father had captured a few Confederate soldiers, and her mother had opened the house to care for a few wounded soldiers, including the colonel of the 1st Minnesota Regiment. Tillie and her family visited Camp Letterman Hospital during the autumn months. She did not specifically mention attending the dedication of Gettysburg National Cemetery, but presumably she did. Miss Pierce grew up, married Mr. Alleman and moved away from Gettysburg. However, her experiences during the summer of 1863 made unforgettable memories and she wrote her recollections which were published in 1888. Betsy Westmore is certainly not a “carbon copy” of Tillie Pierce, but Tillie’s account did help me “see” historic Gettysburg through a girl’s eyes. When writing the story, I wanted Betsy to have a friend in town who could share a perspective on what was happening in that location and who could be encouraging to Betsy; Tillie Pierce was a natural choice because she was the same age as my fictional character and I think she was a friendly, kind young lady. It seemed fitting to have Betsy interact with a real historic character rather than a fictional friend, and I was glad I could include Tillie Pierce, especially since her account was one of the first civilian primary sources I read. P.S. If you’ve read “Blue, Gray & Crimson“, did you like Tillie Pierce? Have you read her primary source account?